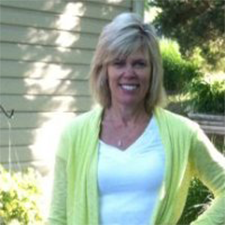 Corina Moore began her career in the commercial roofing business in 1981 with Lucas Sales Co., a rep/distribution company based in St. Louis, Missouri. Initially, she served as the company’s receptionist, but quickly rose through the ranks. Throughout the span of her 32 years in the industry, Moore has garnered invaluable experience in several facets of the business. Her financial savvy and genuine care for the customer have propelled her through positions in bookkeeping, customer service, and sales. Moore now applies her vast industrial knowledge to her position as a Carlisle Representative for Roofing and Carlisle Air & Vapor Barriers, wall insulations, and below-grade waterproofing. Her expertise in the field further facilitates the success of Luna & Associates. Michael Smalley is the Preconstruction Manager for IWR North America who works with Architects, CM’s/GC’s, and Envelope Consultants across the mid-west to achieve high-performing and code-compliant enclosures and enclosure components within budgetary parameters. With over a decade in the industry, Michael believes adding value to an enclosure project starts with education and trust and transparency amongst the project team. Michael has added value through his work on a multitude of enclosure projects in the region including SSM Health St. Joseph Hospital West total enclosure vertical expansion and the (confidential) Corporate Technology Building which has recently been awarded 2017 BEC Project of the Year for Outstanding Building Enclosure Projects. As strategical growth has expanded geographically for IWR, so has Michael’s experience, including a turn-key execution of Liberty Mutual Headquarters in Plano, TX where IWR performed a significant portion of the enclosure work on this high-performing parking garage/corporate office building. Michael spent five years as an estimator for IWR North America, then transitioning into an operational role as Project Manager before filling role as Preconstruction Manager where much of his departments responsibilities overlap both the estimating and sales and the operational units. Michael holds degrees in construction management and real estate from Missouri State University. Jeff has responsibility for the quality assurance and supervision of all ongoing projects at PARIC. In addition, he is responsible for managing and serving all warranty calls after projects have been completed. Jeff joined PARIC in 2010 as a Senior Project Engineer. He has over fifteen years of diverse construction experience which made him the ideal choice for his current position in 2012. Conduct a review of drawings prior to construction to identify any potential problems. Address any problems with the owner, architect, and construction team. Perform quality control inspections and prepare required records/reports in compliance with requirements. Perform audits to ensure compliance with quality control requirements and standards. Monitor subcontractor work to ensure compliance with company standards, procedures, and codes when applicable. Conduct internal/external quality control audits and define corrective measures for problem areas and ensure implementation. Prepare quality control procedures and review other department procedures for compliance with quality control requirements. Provide necessary outgoing correspondence and insure compliance and/or correctness. Participate in review board meetings to resolve nonconformance areas. Follow-up to ensure corrections are implemented. Inspect jobsite for water intrusion. Inspect S.W.P.P. and B.M.P.s on the jobsites. Kevin Geil joined Roofing Sales Associates, Inc. in November of 2007 as a Sales Consultant. 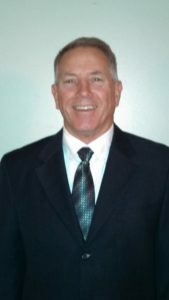 Kevin has been working in the exterior building materials industry since1975 where his experience includes Regional Sales Manager for a major manufacturer, Distribution Sales and Manufacturers Representative. For the majority of his career he has been working with Architects, Building Owners, Roofing and Waterproofing Contractors. 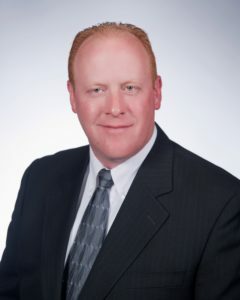 Kevin is presently Secretary for the St. Louis Construction Specification Institute (CSI) Chapter, board member for the Roofing And Siding Contractors Alliance, Inc. (RSCA) and board member of the Building Enclosure Council (BEC) St. Louis. Senior Associate for Heitmann & Associates, Inc., Building Enclosure Consultants, St. Louis, Mo. George Crow has 50 years’ experience in planning, designing, detailing, construction management, and implementation and validation of quality construction practices. In his role at Heitmann & Associates, he is often involved in pre-construction reviews of the construction documents for detail interfaces, successful water infiltration management, constructability and maintenance issues. These reviews often include participating in pre-construction coordination meetings and laboratory and field mock up performance testing. Due to the nature of the consulting business, George’s projects vary in size and complexity. In addition, George is past president of the Peoria, Il. and St. Louis, Mo. CSI Chapters, was founding Chair of the Building Enclosure Council-St. Louis, and was on the Masonry Standards Joint Committee for the development of the ACI 530 Building Code Requirements For Masonry Structures for the 2005, 2008, and 2011 code cycles. He currently serves on the AIA St. Louis Chapter Continuing Education Committee and as Past Chair for the Building Enclosure Council of St. Louis. 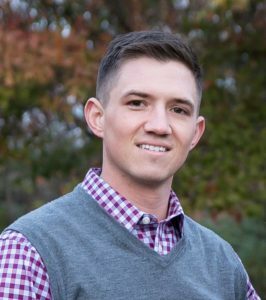 Brandon is a Senior Manager for the Building Science Solutions division of Intertek-Professional Service Industries (Intertek-PSI). 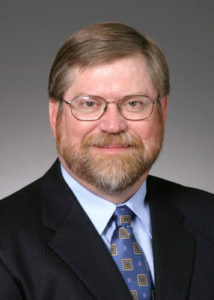 He manages and oversees the central midwestern US operations for their St. Louis and Kansas City offices. He is a licensed architect in Illinois and has been in the architectural and construction management industry since 2003. He has worked as a design architect, construction manager, BIM coordinator, and building enclosure consultant over the last 15 plus years. Third party pier reviews of contract documents and submittals for architects, contractors, and owners. Building envelope ASTM and AAMA testing methods in the field. Forensic building envelope failure investigations. Roofing inspection, including nuclear density and infrared scanning. Third party building envelope enclosure quality assurance/quality control (QAQC) inspections. Infrared thermography and whole building air tests. Construction progress AIA pay draw inspections. Katie earned a degree in Architecture from the University of Illinois at Chicago in 2003, and is a licensed architect in the state of Illinois (RA), a Commissioning Authority plus Building Enclosure (CxA+BE), a Building Enclosure Process Provider (BECxP), and a LEED AP Building Design + Construction (LEED AP BD+C). She is a Project Manager and Building Enclosure Commissioning Process Provider for Sitton Energy Solutions. 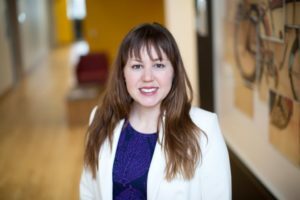 Katie has worked with Sitton Energy Solutions since 2009, where she specializes in building enclosure commissioning and accessibility compliance. Previously she worked as an Architect for seven years for multiple design firms, where she gained valuable experience in design and construction for residential, education, commercial office, data centers, and retail. David V. Kromm, AIA, LEED AP, is the President and Principal in Charge of Planning for Kromm, Rikimaru and Johansen, Inc. (KRJ). In the sixty years since David’s father founded the company, KRJ’s mission of building community through architecture has led to working primarily with publicly funded, community oriented clients and their projects. With education clients comprising nearly 85% of their work, KRJ excels in improving learning environments while decreasing operating costs. 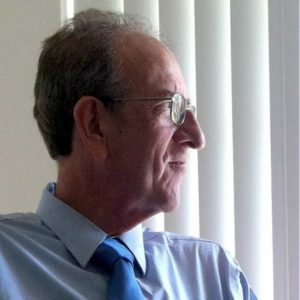 David has over 45 years of experience in planning and architecture. He is enthusiastic about embracing the challenges that come with keeping up to date on advancements with architecture- especially in the areas of building enclosures and efficiency measures throughout facilities. He has also been providing energy modeling which has led to highly efficient renovations and new construction. The results of the energy modeling have been an integral part of assisting clients in obtaining low interest energy loans for their projects. 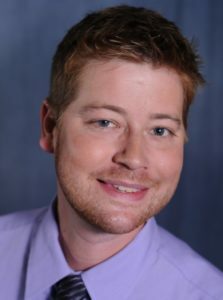 David holds both Bachelors and Masters degrees in Architecture from Washington University in St. Louis and he is licensed to practice architecture in Missouri, and Illinois. He is a LEED accredited professional as well as a member of BEC. David is a member of Rotary International and the Rotary Club of West St. Louis County.